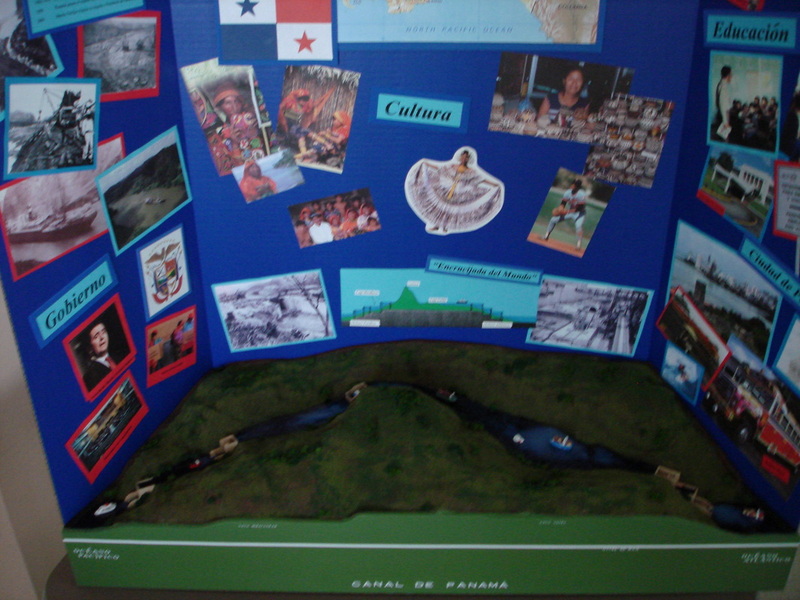 The Panama Canal was designed and built for my Spanish III class. 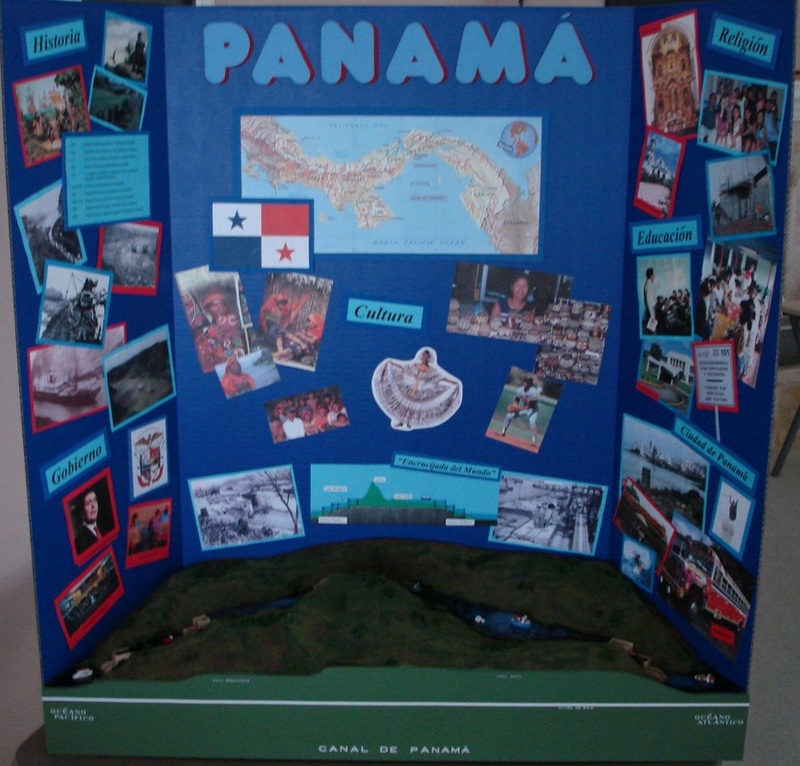 This was a very fun project - what could be better that building a model for homework! 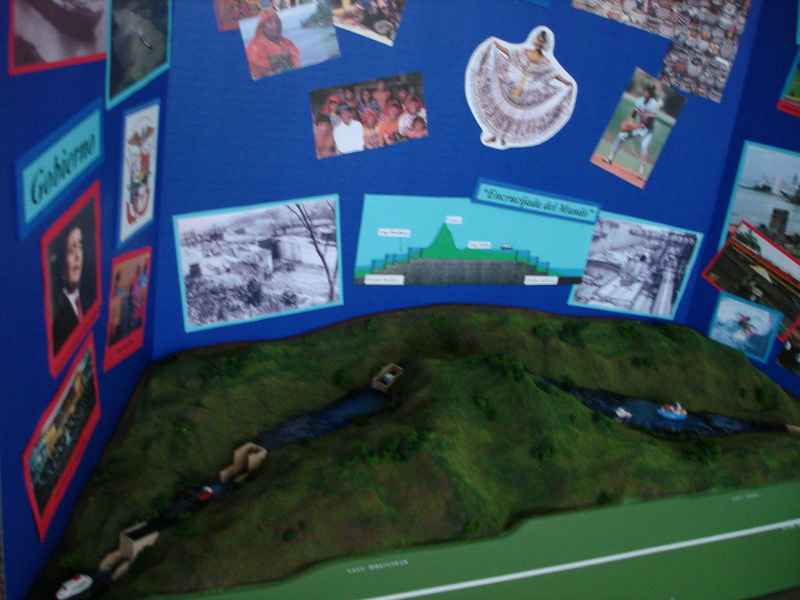 The canal was designed to fit in front of a science board so it is not perfectly to scale. All the locks and ships were made from scratch, then painted and weathered. Water and scenery was also added. The white line on the front is representing sea level and you can see how the canal rises above that line.